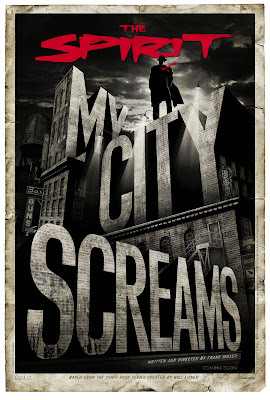 Click on the picture above for the trailer to the latest comics-to-film adaptation, this one based on Will Eisner's classic landmark hero, and directed by comics great Frank Miller (Sin City , 300 ). It's so hot right now, the best I could do was link to this YouTube capture, but I'll update it when I can get a direct link to the official one. Let me know what you think in the comments section. UPDATED: The picture now links directly to the trailer on the official website. Enjoy.